High-impact healthcare innovation relies on an efficient, two-sided market. On one side, startups supply new, groundbreaking solutions, adaptability, and agility. On the other, large-scale enterprise companies have both the need for innovation as well as the operations, expertise, brand, and reach to drive impact at scale. But the market for digital health is far from efficient. That’s why we’re convening enterprise leaders at our 2019 Rock Health Enterprise Insights Series. This event series aims to showcase wins in partnering with external sources of innovation, tackle remaining challenges, and catalyze startup and enterprise efforts toward the shared goal of making a massive impact on healthcare. With an unprecedented amount of capital and companies on both sides committed to progress, we’re bullish on building the enterprise market for digital health. The Enterprise Insights Series events will gather select enterprise executives for a half-day of insights from the latest Rock Health research, facilitated networking opportunities, and expert discussions on startup-enterprise partnerships. Nominate a client, colleague, or friend to attend a Rock Health Enterprise Insights Series event. Each event will focus on market-specific subtopics, featuring Rock Health research and expert perspectives from both startups and enterprise healthcare leaders. Join us in convening the top decision makers and business leaders catalyzing innovation in healthcare. As a sponsor, you’ll position your organization alongside Rock Health as we build the enterprise market for digital health. If your organization is interested in collaborating with us on the 2019 Enterprise Insights Series, we'd love to hear from you. Send us a note to learn more. These events leverage Rock Health research to offer a perspective on the most pressing challenges facing healthcare businesses. You’ll have an opportunity to engage directly with thought leaders, participate in interactive programming, and ask the tough questions that are top of mind for you and your business. Don’t expect to just exchange business cards and handshakes. We keep these events small and intimate to facilitate meaningful connections among business leaders, dealmakers, and startup founders. We encourage healthcare executives, entrepreneurs, investors, and academics to attend. Sound like you? Let us know if you’d like to attend. See more highlights from the 2018 Enterprise Insights Forum. The Rock Health Enterprise Insights Series is hosted by Rock Health, the first venture fund dedicated to digital health. Our mission is to make healthcare massively better for every human being. 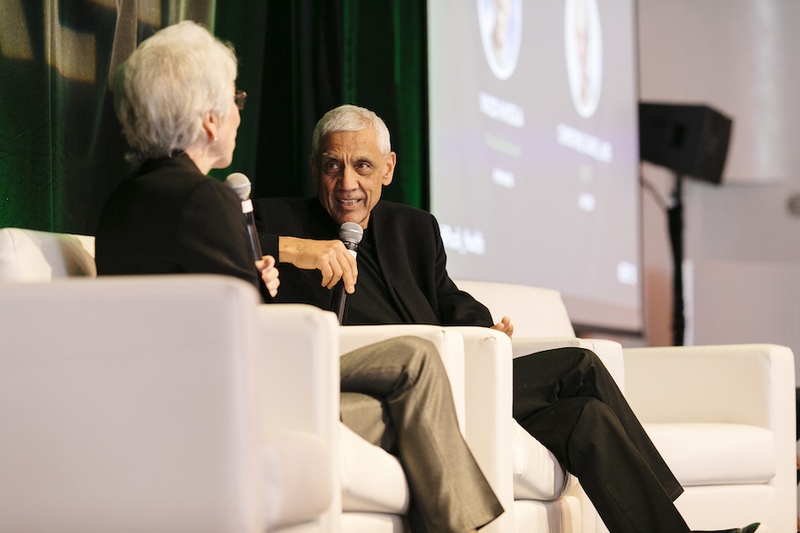 Each year, Rock Health events draw hundreds of innovative thinkers across healthcare, technology, venture capital, and beyond to confront the most challenging dilemmas in healthcare—and uncover new, tech-forward solutions. Our goal is to connect and educate the individuals and enterprises committed to advancing this impactful innovation.